von Willebrand disease (VWD) is a disorder that is caused by a problem with one of the proteins in the blood (von Willebrand factor or vWF). People with VWD either don’t have enough vWF or what they have doesn’t work properly. vWF plays 2 important roles in blood clotting. It makes platelets stick to the wall of an injured blood vessel and to each other. Without it, a platelet plug cannot be made. vWF is also a called a carrier protein because it carries one of the clotting factors, factor VIII (8), with it. This means that it helps make sure there is enough factor VIII (8) in the blood and that it gets to where it’s needed. 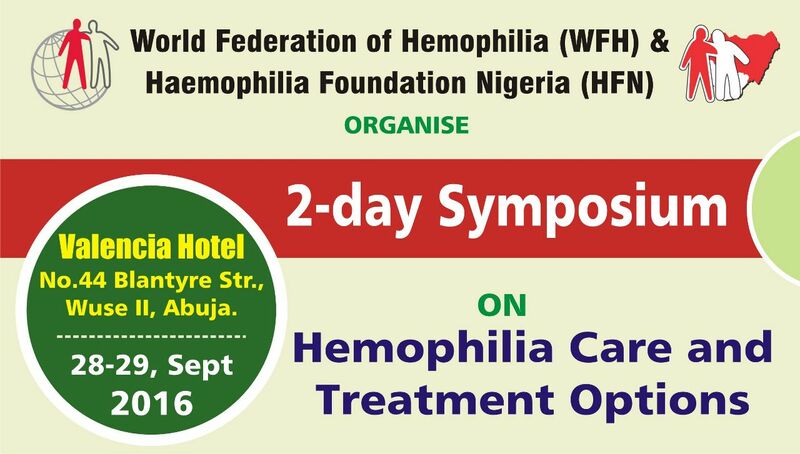 Without vWF, factor VIII (8) will be broken down in the bloodstream and there may not be enough of it to stop bleeding. Type 1: A person with Type 1 VWD has lower-than-normal levels of vWF and may also have low levels of factor VIII, which is another type of blood-clotting protein. Body makes normal amounts of vWF but it does not work the way it should. A number of rare bleeding disorders exist. Clotting factors are proteins in the blood that control bleeding. If any of the clotting factors are missing or not working properly, the normal steps leading to coagulation are blocked. When this happens, the blood clot does not form and the bleeding continues for longer than it should. A deficiency of any one of these clotting factors can cause a rare bleeding disorder. Here is a brief overview of rare clotting factor deficiencies. Factor I Deficiency: Factor I (1) deficiency is a term used to describe a group of rare inherited blood disorders caused by a deficiency in fibrinogen, another blood protein important in forming of a blood clot. Fibrinogen helps the body form a fibrin mesh around the clot to keep it firm while healing takes place. In people who have factor I (1) deficiency, the body may produce less fibrinogen than it should, no fibrinogen, or fibrinogen that doesn’t work properly. Common symptoms include nosebleeds, easy bruising, heavy menstrual bleeding (called menorrhagia), muscle bleeds, joint bleeds, umbilical cord bleeding, bleeding in the mouth (for example, after dental work), and problems during pregnancy, such as miscarriage. Factor II Deficiency: Factor II (2) deficiency is an inherited disorder caused by a problem with factor II (2) (called prothrombin). In this bleeding disorder, either the body is producing less prothrombin than it should or the prothrombin does not work properly. Common symptoms of factor II (2) deficiency differ from person to person. Common symptoms include nosebleeds, easy bruising, heavy menstrual bleeding (menorrhagia), bleeding into the joints, muscle bleeds, and bleeding in the mouth (for example, after dental work). Factor V Deficiency: Factor V (5) deficiency is an inherited disorder in which either the body produces an insufficient amount of factor V (5) or factor V (5) does not work properly. Common symptoms of factor V (5) deficiency are generally mild; in fact, some people may experience no symptoms at all. Children with a severe factor V (5) deficiency may bleed early in life. Common symptoms of factor V (5) deficiency include nosebleeds, easy bruising, heavy menstrual bleeding (called menorrhagia), and bleeding in the mouth (for example, after dental work). Combined Factor V (5) and Factor Vlll (8) Deficiency: Combined factor V (5) and VIII (8) deficiency is an inherited disorder in which the amount of these two factors in the body is lower than normal. This combined deficiency is completely different from factor V (5) deficiency and factor VIII (8) deficiency. Common symptoms are generally mild and include skin bleeding, heavy menstrual bleeding (called menorrhagia), bleeding in the mouth (for example, after dental work), bleeding after circumcision, and abnormal bleeding during or after surgery, injury, or childbirth. Factor Vll (7) Deficiency: Factor VII (7) deficiency is an inherited disorder in which either the body produces less factor VII (7) than it should or factor VII (7) does not work properly. The symptoms of factor VII (7) deficiency differ from person to person. Common symptoms include nosebleeds, easy bruising, heavy menstrual bleeding (called menorrhagia), bleeding in the mouth (for example, after dental work), bleeding in the head (newborns), and heavy bleeding after circumcision. Factor X (10) Deficiency: Factor X (10) deficiency is an inherited disorder in which the body produces less factor X (10) than it needs or factor X (10) does not work properly. People with severe factor X (10) deficiency can have serious bleeding episodes. Common symptoms include nosebleeds, easy bruising, bleeding in the gut or into the joints, muscle bleeds, umbilical cord bleeding, bleeding in the mouth after dental work, and bleeding during or after surgery or injury. Factor XI (11) Deficiency: Factor XI (11) deficiency is an inherited disorder in which the body produces less factor XI (11) than it should or factor XI does not work properly. Factor XI (11) deficiency is also called by some as haemophilia C and is the most common of the rare bleeding disorders and the second most common bleeding disorder affecting women after VWD. Symptoms of factor XI (11) deficiency can vary widely, even within a family, which can make it difficult to diagnose. Common symptoms include nosebleeds, easy bruising, heavy menstrual bleeding (called menorrhagia), and abnormal bleeding during or after surgery, injury, or childbirth. Factor XIII (13) Deficiency: Factor XIII (13) deficiency is an inherited disorder in which either the body produces less factor XIII (13) than it should or factor XIII (13) does not work properly. Most people with factor XIII (13) deficiency have symptoms from the time of birth, often bleeding from the umbilical cord. Symptoms may continue throughout life. Common symptoms include nosebleeds, easy bruising, bleeding into joints, bleeding into the brain and spinal cord, bleeding in the mouth (for example, after dental work), poor wound healing and scar formation, bleeding in soft tissue, problems during pregnancy such as miscarriage, bleeding after circumcision, and abnormal bleeding during or after injury or surgery. There exists a number of rare platelet bleeding disorders. Rare platelet disorders may be inherited or acquired after birth. These disorders can last a short time or be a chronic condition. On the positive side, platelet disorders are usually milder than the other types of bleeding disorders. Bernard-Soulier Syndrome (BSS): a very rare platelet disorder that causes a deficiency of glycoprotein lb, the receptor for vWF, which is important in clot formation. A person with BSS can bleed for a very long time before a clot forms. In fact, it may take more than 20 minutes for the bleeding to stop even a small cut. Glanzmann’s Thrombasthenia (GT): an extremely rare bleeding disorder in which the platelets lack glycoprotein IIb/IIIa, the binding sites for vWF, on the surface. In people with GT, platelets do not adhere or stick to each other as they should. Bleeding continues significantly longer than normal. Platelet Storage Pool Disease (SPD): a name given to several rare disorders in which the platelet granules are affected. During the process of making a platelet plug, the platelets change shape. Chemicals inside the granules are pushed out (called secretion) into the bloodstream, signaling other platelets to the plug. In SPD, a certain type of granule in the platelets may be missing or be abnormal. The result: the body takes longer to form a clot. SPD usually causes mild to moderate bleeding.